Turkey is a country I would love to visit again. The capital city of Istanbul is full of incredible architecture, history, and food, while the Cappadocia area in central Turkey is well known for the bizarre ancient rock houses and popular balloon rides. 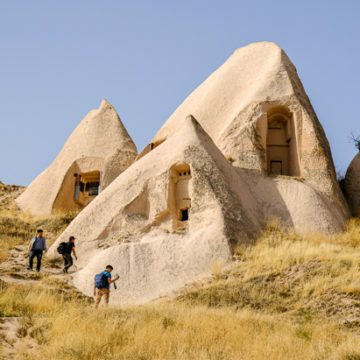 If you’re looking for unique ‘Utah-esque’ landscapes, Cappadocia is your thing. The climate of Turkey varies from Mediterranean (in Istanbul) to continental (in the Cappadocia area of central Turkey). Istanbul has hot, sunny summers and mild, rainy winters, while Cappadocia has hot summers and cold winters, with plenty of snowfall. Autumn is probably the best time for visiting Turkey, but any month of the year is OK.
Turkey is a relatively safe place to travel, with a low violent crime rate of 4.3 per 100k inhabitants (31% lower than the global average). I’ve traveled in many parts of Turkey and didn’t witness any crime. Although it is a Muslim country, terrorism is generally not an issue here and attitudes toward foreigners seem welcoming. 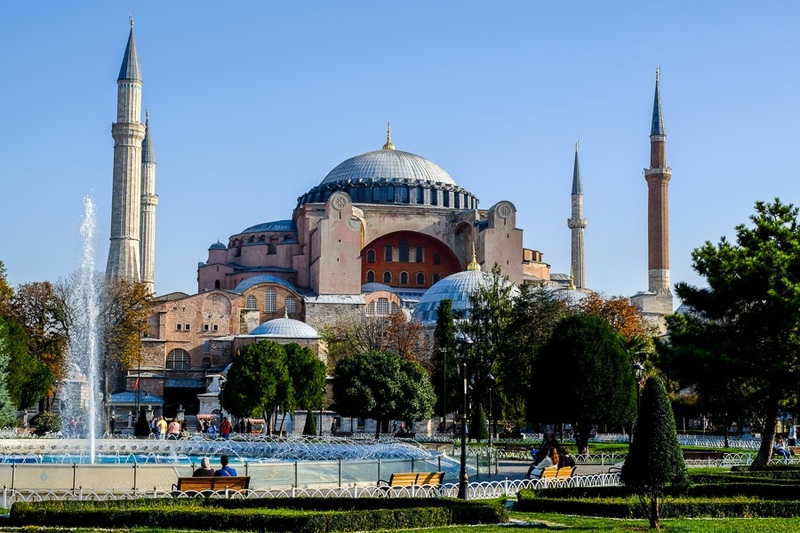 Turkey is a pretty budget friendly travel destination, with hostels available from $7 and private hotels from $20. Meals are shockingly cheap and good, costing about $2 to $6 depending on location. Transportation in Turkey is generally by car, and these can be rented, but hiring a driver is pretty cheap and often preferable. Transportation apps like Uber are available in Istanbul, but use these discreetly because they’re not appreciated by the taxi industry.